I don’t know if this is really organization related, but decorating your door in an awesome way can help you stay focused on your theme and purpose for the year! I saw this door photo on Pinterest today, and it made me giddy with excitement! This will happen on my door at one point during this year! Is this not an awesome door? As a child wouldn’t you love walking through this door everyday? This door makes me happy as well! Being Curious is what kids do best, and they should never stop! 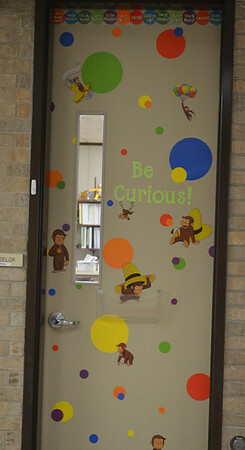 Your door can say a lot about your class, your students, what you expect, and what they should expect as they walk in to this new wondrous world! For these door ideas and more check out Kickin’ it with Class! Keep your life creative and full of fun, cause it wears off on those around you.